Six Plant Wall’s with different designs and functions for the same costumer’s building. 1. Plant Wall ‘outdoor but indoor’. 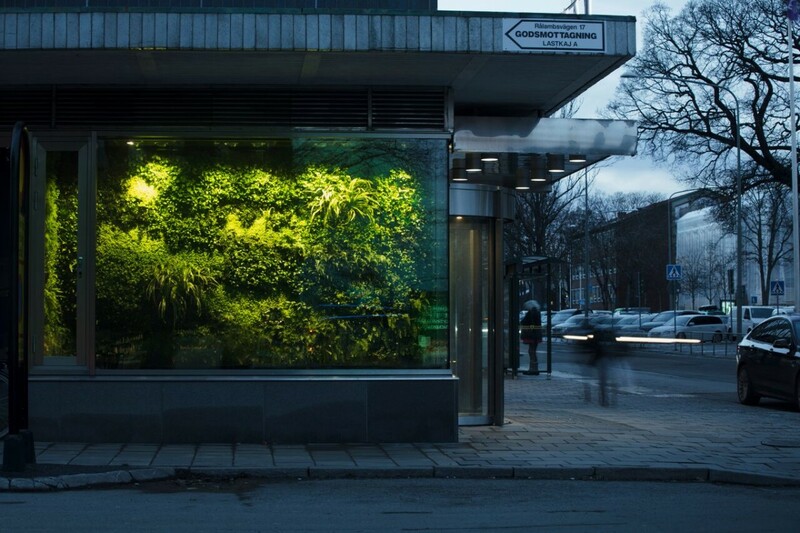 A Plant Wall in a storefront window giving a nice and warm welcoming feeling even in wintertime. 2. 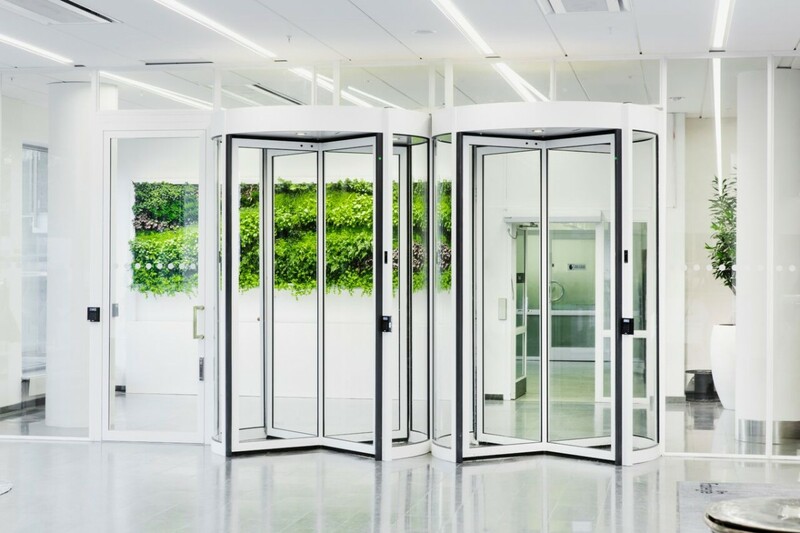 Two Plant Walls framing the exit! With the nice reflection in the floor giving an extra touch to the room. 3. A raised Plant Wall as a living painting. The waterreservoir is designed to cover some technical functions in the building. One of the three sections in the front can be opened, giving technicians access. 4. 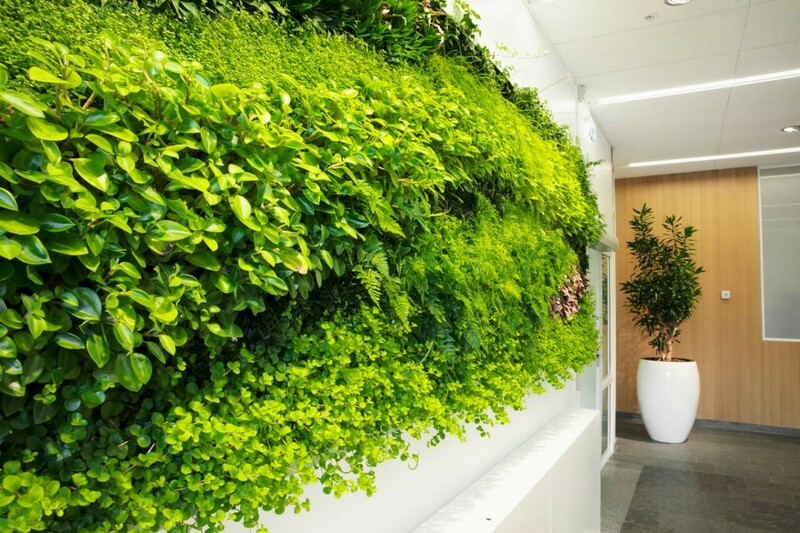 Two mobile Plant Walls, located in the costumers own local office in the same building.